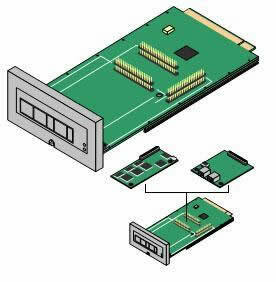 The Avaya IP500 Legacy Card Carrier (700417215) integrates IP400 daughter boards - Allows various IP400 trunk and VCM cards to be used with the IP500 control unit (does not accept and IP500 daughter card). Custom fit - The front of the card includes a number of panels that can be snapped off to match the ports when a trunk card is being fitted. Maximum - 2 per IP500 control unit.